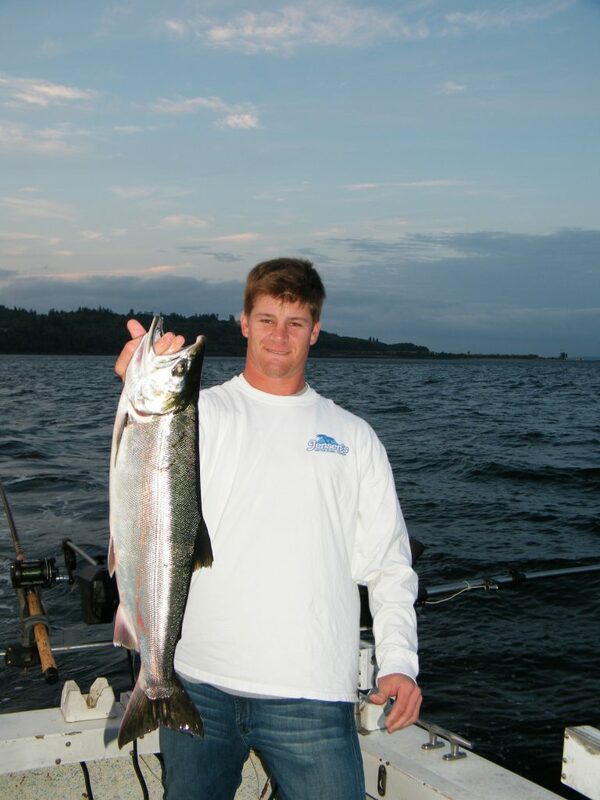 The process on setting sport salmon fishing seasons got underway on Feb. 27 as the Washington Department of Fish and Wildlife (WDFW) revealed forecasts with the “silver” lining being a relatively strong coho return for Puget Sound and the Columbia River. 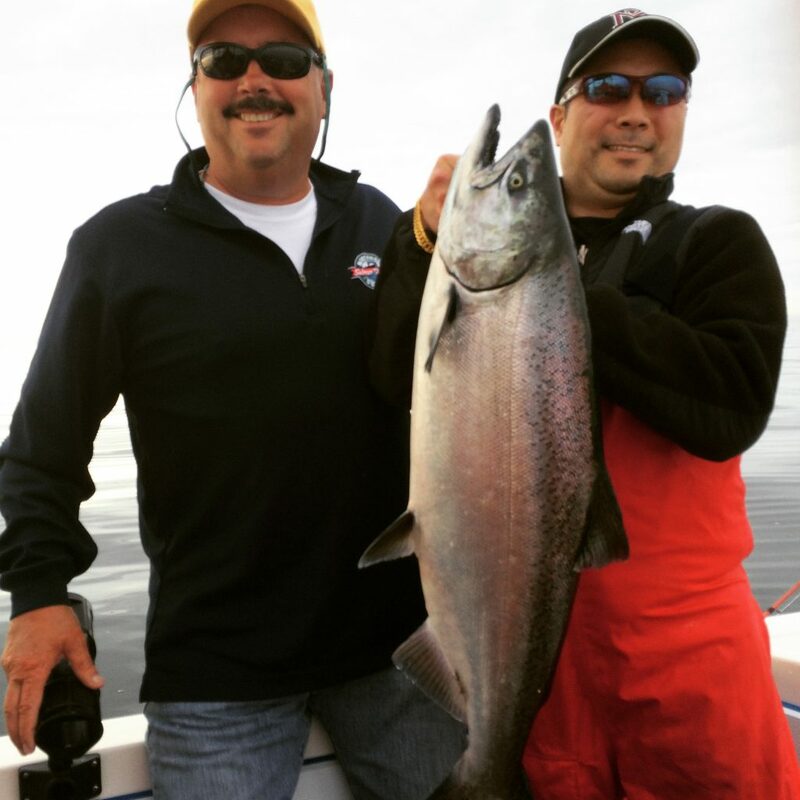 “For (Puget Sound) coho we seem to be looking at another pretty decent year and on par to last year,” said Mark Baltzell, the WDFW Puget Sound salmon manager. Baltzell indicated the only constraining wild coho stock looks to be the Snohomish so that will be on the radar moving forward. In Puget Sound the total coho return for 2019 is 670,159 (416,319 are hatchery and 253,840), which is up somewhat from last year’s 557,149 (307,975 and 249,174). The Snohomish coho forecast is 70,309 down from 73,017 in 2018; Skagit is 67,850 down from 72,297; Lake Washington is 13,560 down from 15,002; Stillaguamish is 26,054 up from 18,950; Green River is 71,681 up from 51,352; and Puyallup is 41,569 up from 22,949. How those Puget Sound coho forecasts correlate into exact fishing seasons won’t be finalized until mid-April but in a couple weeks the first options should come to light. On the coast, the outlook is much brighter than it had been in recent years with the Oregon Production Index (OPI) — the annual prediction of coho salmon returns to the Columbia River and coast — being a robust 1,009,600 compared to a 2018 forecast of 349,000 and an actual return of 230,700. The 2019 OPI prediction is made up largely of a robust 933,500 hatchery coho forecast. Of that 905,600 – 545,000 early-timed and 360,600 late-timed – are predicted to enter the Columbia River. Along the Washington coast, the coho return forecast is 401,538 up dramatically from 270,756 in 2018. Willapa, Grays Harbor, Queets and Hoh are up from last year but the Quinault and Quillayute are down. 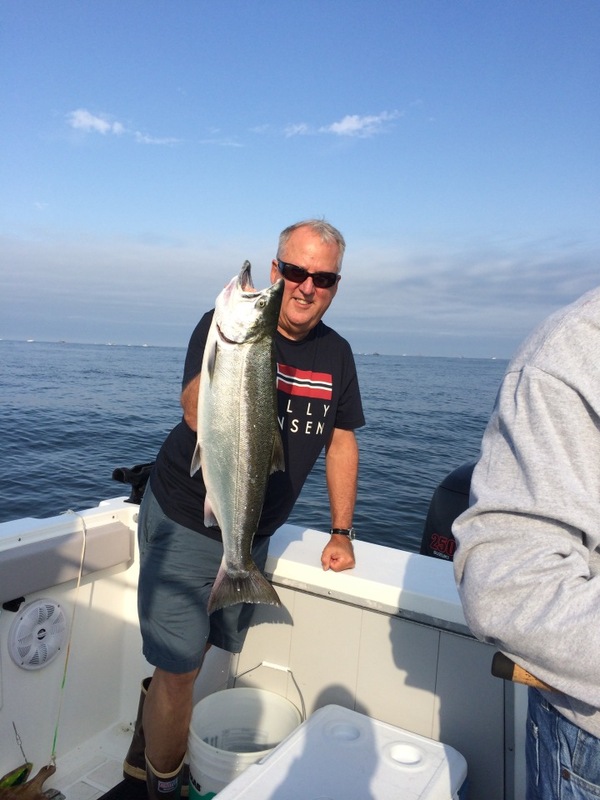 If the 2019 forecast comes to fruition it will likely provide ample glory moments for anglers in summer and early fall off the Washington coast (Neah Bay south to Ilwaco) and in the Lower Columbia River. Crafting Puget Sound chinook fishing seasons will be more difficult due to constraints of certain wild chinook stocks like Stillaguamish return of 900 and mid-Hood Canal of 1,200, but the hope is to get something similar last year. “We hope the department takes a strong look at ocean non-tribal, tribal and sport fisheries that play a big role in the take of mid-Hood Canal stocks,” said Pat Pattillo, a retired WDFW salmon resource manager who is now advises the Northwest Marine Trade Association’s Fish Committee. The Puget Sound summer/fall chinook forecast is 246,837 (217,042 are of hatchery origin and 29,796 are wild) compared to 255,219 (227,815 and 27,404) in 2018. A breakdown of the preseason hatchery and wild chinook abundance shows the South Puget Sound forecast in 2019 at 107,400 (down from 128,400 in 2018 and up from 85,100 in 2017); Skagit is 13,900 (13,600 and 16,200); Stillaguamish is 900 wild only (1,600 and 1,500); Snohomish is 10,900 (10,000 and 8,200); Tulalip is 12,700 hatchery only (7,500 and 5,300); Hood Canal is 67,200 (61,500 and 50,800). The Columbia River 2019 fall chinook forecast of 340,400 is better than the 2018 actual return of 290,900 but down from the preseason forecast of 365,600. The majority of 2018 preliminary Columbia River adult fall chinook runs came back lower than anticipated except for lower river wild and bright fall chinook that were improved. 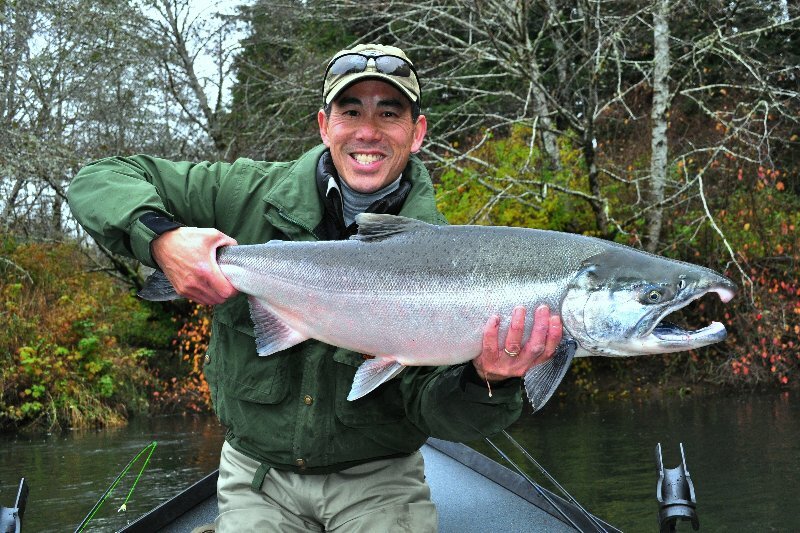 The 2019 upriver bright chinook outlook of 158,400 is up from 2018 actual return of 149,000 and down from the forecast of 200,100. Tule chinook (a driver for ocean salmon fisheries) is predicted at 54,500 up from an actual return of 50,400 in 2018 and down from forecast of 62,400. Poor ocean conditions the last several years is the likely culprit for this downtrend but could be better after the 2019 cycle. On the Washington coast, the Willapa Bay 2019 chinook forecast is down with 28,100 compared to 44,100 in 2018. The Puget Sound pink forecast of 608,388 won’t generate any bonus catch limits like it had two cycles ago in 2015 prior to drought that really put a damper on the 2017 returns. A breakdown of the 2019 pink runs are Nooksack, 24,476; Skagit, 114,769; Stillaguamish, 47,919; Snohomish, 128,362; Green, 141,130; Puyallup, 47,905; Nisqually, 25,380. The Puget Sound fall chum return is 1,035,835 and should provide some decent late-season action in Hood Canal (518,645 is 2019 forecast) and southern Puget Sound bays and estuaries (263,171). The Lake Washington sockeye continue to struggle and the forecast in 2019 is 15,153 and the Baker Lake sockeye forecast is 33,737. The hope is to craft some summer fishing seasons in the lake. The Columbia River sockeye forecast is 92,800 with 18,300 expected to Lake Wenatchee and 74,500 to Okanogan River. Those forecasted returns are down about 72 percent from the 10-year average but fluctuate all across the board and in some low return years they’re known to wax the forecasts dramatically. The only southern B.C. forecasts that came to light were the Fraser River where they’re expecting a return of 4,795,000 sockeye and 5,018,600 pinks. In past years these numbers have been way down from forecasts so stay tuned. The Pacific Fishery Management Council (PFMC) will announce three ocean salmon fishing options at meetings this week at the Hilton Hotel in Vancouver, WA. The first North of Falcon public meeting to discuss Puget Sound salmon fisheries is March 19 at the DSHS Building in Olympia and April 3 at the Lynnwood Embassy Suites. Final salmon fishing seasons will be adopted by the PFMC on April 11-16 at the DoubleTree by Hilton in Sonoma, Calif. For specific meeting dates and times, go to https://wdfw.wa.gov/fishing/northfalcon/. It’s been a very frosty winter for anglers east of the Cascades, and ice fishing remains decent although some larger reservoirs are generating good catches of kokanee and trout and some walleye in the 13- to 18-pound range were hitting the decks. Austin Moser, owner of Austin’s Northwest Guide Service, holds a nice walleye caught east of the Cascades. Austin Moser, owner of Austin’s Northwest Adventures, has been making trips to Lake Roosevelt and catching a mix of kokanee and rainbow trout. The Spokane Arm has been decent for walleye, which hosts the largest spawning population in the state. In the Columbia River head to The Dalles Pool; Wallula Pool above McNary Dam; John Day Pool also known as Lake Umatilla; below Rocky Reach Dam; Wanapum Pool from Vantage to below Rock Island Dam; Bonneville Pool near The Dalles Dam and Stevenson areas; and below Bonneville Dam at Beacon Rock, Camas, Vancouver, Kalama, Kelso and Cathlamet. 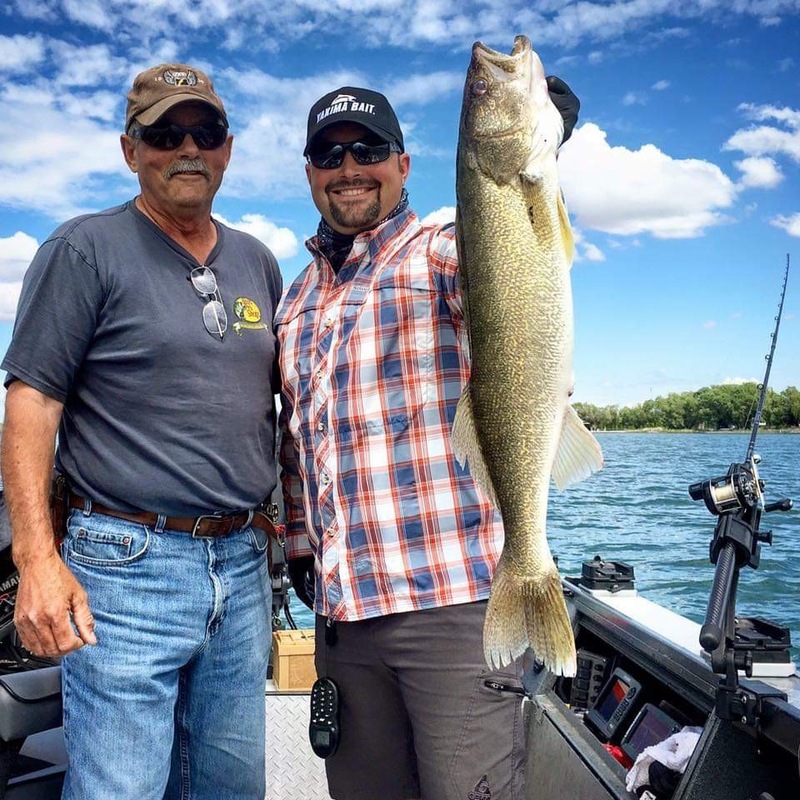 Other good populations of walleye can also be found in Crab Creek, Lake Billy Clapp, Potholes Reservoir, Long Lake, Moses Lake, Crescent Lake, Soda Lake and Scooteney Reservoir. Chad Jackson a WDFW biologist in Ephrata says virtually every lake is frozen over as temperature highs are just above freezing with it dipping into the low teens consistently every night. So that will work against any trout opportunity coming up on the calendar for the Columbia Basin lakes opener on March 1. Many enjoy heading to Burke Lake for their trout fishing derby which has been postponed until March 23 since there is still ice covering the lake. However, Burke opens March 1, but I’d avoid it since it’ll be iced over. At Moses Lake, anglers were getting through the ice to catch some nice perch. There are other ice fishing options including Fish Lake near Lake Wenatchee that has been good for perch and trout. 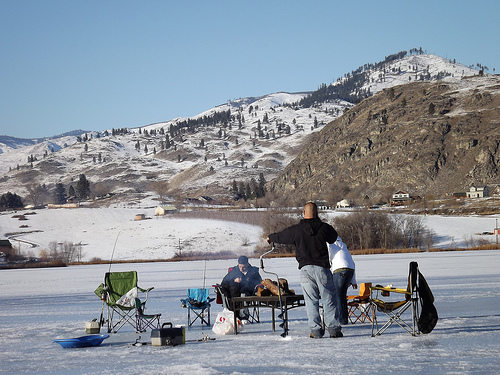 Patterson Lake, near Winthrop is known for good perch, trout and even kokanee catches through the ice. Bonaparte Lake, northeast of Tonasket is another popular winter lake, offering a variety of fish that includes brook trout, kokanee and even big tiger trout. North of Republic is Curlew Lake has been phenomenal for big yellow perch in the 11- to 13-inch range and has a reputation as offering the best perch fishing anywhere in the state. As with any ice fishery always use come caution and check ice thickness before even thinking about setting foot on a frozen lake. While ice safety can never be assured, no one should venture onto the ice unless it is at least 4 inches thick, clear and solid, according to U.S. Coast Guard guidelines. As much as 9 inches may be needed to safely support snowmobiles or other vehicles. Such ice depths can form after at least a week of below freezing temperatures, day and night. Thawing and re-freezing can create air pockets that leave ice “honeycombed” or porous and significantly weakened. Don’t fish alone. Let others know exactly where you and your fishing partners are going and when you plan to return. Keep fishing holes small and few. When drilling fishing holes with an ice auger, keep the diameter under 8 inches. Bigger holes are not necessary to land fish and can create a safety hazard for others. Ideal weather and some excellent low tidal series during daylight hours offered diggers some excellent digging when coastal beaches were open Feb. 15-21. Razor clam results from the recent digs at Long Beach on Feb. 17 had 8,344 diggers with 110,141 clams for 13.2 per digger average; Twin Harbors Feb. 15-21 had 9,108 with 109,488 for 12.0; Copalis Feb. 16-17 had 8,542 with 118,439 for 13.9; Mocrocks Feb. 15 & 17-18 had 5,743 with 81,108 for 14.1; and Kalaloch data not complete but 325 Feb. 17-18 averaged 4.0 to 6.0. Dan Ayres, the head WDFW coastal shellfish manager, reports they should have marine toxin sample results around March 11, and will give final approval of the next series of digs soon after. “We haven’t had any rise in marine toxins and hopefully it will remain that way for the next series of digs,” Ayres said. 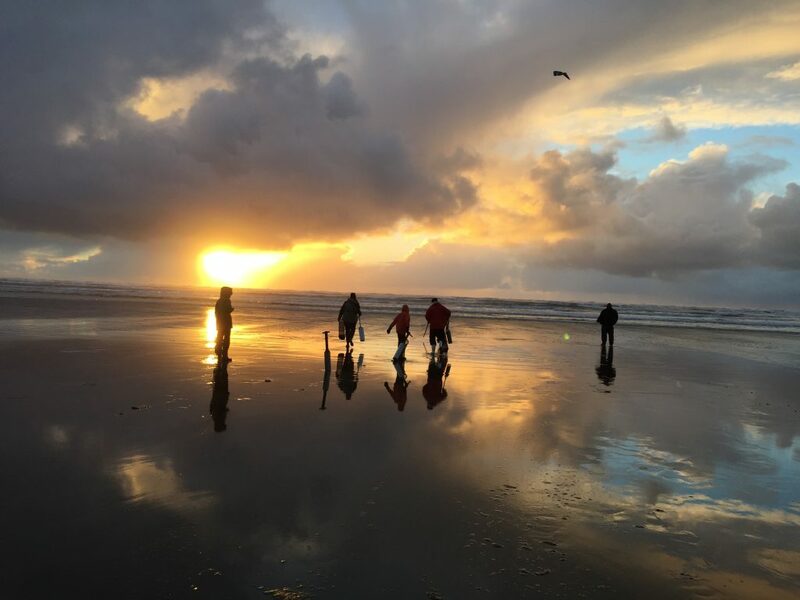 Here are tentative spring coastal razor clam digs during evening low tides – March 16: Twin Harbors and Copalis; March 17: Twin Harbors and Mocrocks; March 21: Mocrocks. Then digging will switch to morning low tides on March 22 and 24: Twin Harbors, Mocrocks and Kalaloch; March 23: Twin Harbors, Copalis and Kalaloch; April 6: Twin Harbors and Copalis; April 7 and 22: Twin Harbors and Mocrocks; April 8: Mocrocks; April 20: Long Beach, Twin Harbors and Copalis; April 21: Long Beach, Twin Harbors and Mocrocks.